This Summer do something to live your faith by helping others in need, in doing so, you will touch the lives of others and change yours as well! 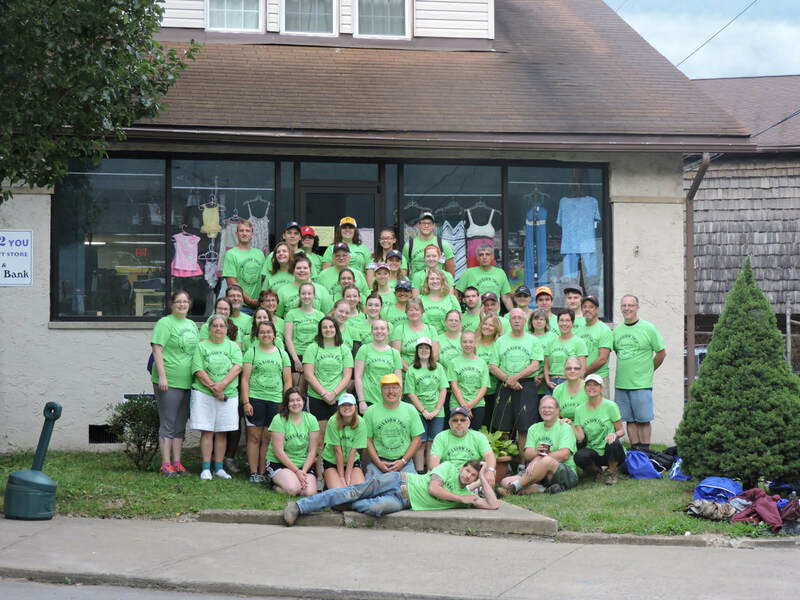 Resurrection Parish is organizing a mission trip to Webster Springs, West Virginia, July 24 - July 29. Webster Springs is a small town in the Appalachian Mountains area that has been hard hit with long term poverty. The average household income in the town is less than $22,000 per year with over 60% of the town living below poverty level. The mission trip will consist of doing home repairs, building ramps, replacing roofs and other needed projects. The trip is open to anyone ages 15 years or older from any parish. 14 year olds may take part in the trip if a parent accompanies them. The trip is absolutely free to participate, however all team members will be asked to help in fund raising efforts to help pay for construction material, travel and meals. For more information please call Terry Deitz at 255-6757 or 242-4244, or attend the next meeting which will be held April 18 at Resurrection Oratory Hall, 8th Ave. and Chestnut Street in Cambria City. Adult registration deadline is April 30 (adults 18 and older must complete the Diocesan Protecting Gods Children certification and also required back ground checks) High School student registrations (under 18 years of age) must be received by June 1 to be able to participate. This year’s trip will be limited to 54 people. Special note to Confirmation and Bishop McCort students: You receive 128 service hours for participation in this trip! SPAGHETTI DINNER AND BASKET PARTY: Please come support our spaghetti dinner to help our mission team raise money for the projects in Webster Springs, WV. Our mission team will be going to this small logging and mining town in the heart of the Appalachian Mountains to help people in dire need of housing repairs. The dinner will be held on Saturday, May 5 from 3:00 PM - 7:00 PM at St Francis Church Hall, 120 Barron Avenue in Johnstown. All you can eat spaghetti! Adults $8.00, Children 4-12 $5.00 and Kids 3 and under eat free. There will be baskets and other drawings available as well. Take outs are available. THE MISSION TRIP TEAM IS AVAILABLE TO HELP WITH YOUR FIX UP PROJECTS. Perhaps you need some yard clean up, minor repairs, painting or help moving things for the spring cleaning days ahead. The Webster Springs mission team would like to help and at the same time allow you to help in the Mission Trip cause. Here is how it works: Call Terry Deitz to schedule your project at 814-242-4244. You supply the materials needed and the mission team will do the work. The only request is that in exchange for the work being done is that you make a donation to this year’s mission trip team to help continue our work in Webster Springs. Projects can not involve plumbing, electrical, roofing or other items requiring permits.